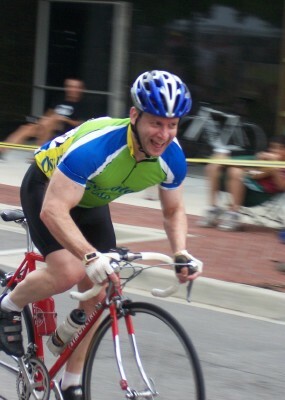 First Race: Hobeau Hills Road Race, 06 Mar 1996, Ocala, FL. Dropped during the first kilometer, finished dead last. Favorite Pizza Place: Papa Kenos Pizzeria, Lawrence, KS -- a slice of pizza "as big as your face!" 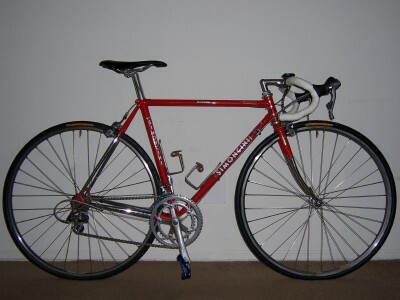 Frame Set: Simoncini hand-built, lugged, Columbus SLX tubing. Wheels: Hand-built, Mavic Reflex Sup rims, 32 spoke, double-butted, 3-cross pattern.